Sunny Balzano, Untitled, Digital print, graphite, tape, 21 in X 29.25 in, 2000. Beth Caspar, Untitled, Linocut on rice paper, 23 in X 23 in, 1999. 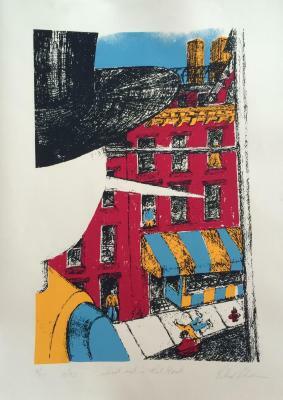 Richard Dennis, Shootout in Red Hook, silkscreen, 20 in X 26 in, 1993. Karni Dorell, Extension, Laminated inkjet print on cintra, 7.25 in X 10 in, 2002. 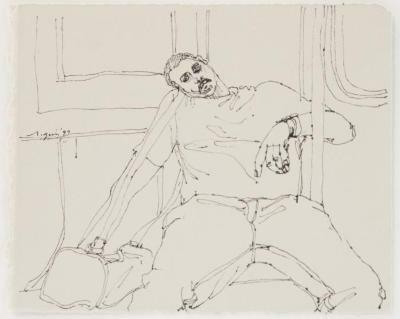 Richard Gins, Subway Riders: Man Sleeping with Duffel Bag, Ink on paper, 7 in X 8.5 in, 1997. 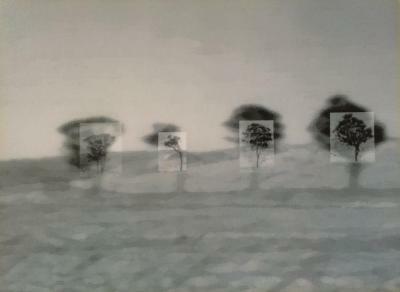 Tone Johansen, Untitled, Charcoal, pencil and crayon, 32 in X 33.25 in, 1999. 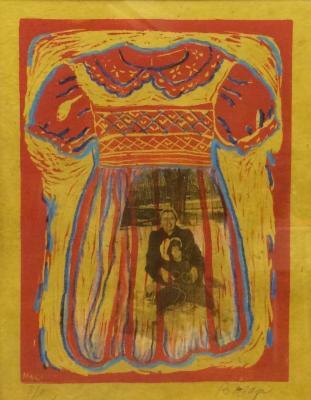 Bettina Magi, Once Upon A Time, Linocut, 13.5 in X 10.5 in, 1996. Richard Mock, Red Hook Public Forum, Linocut on posterboard, 28 in X 22 in, 1989. Florence Neal, Beyond the Sphere, Linocut, ed. 3/35, 13 in X 13 in, 1994. 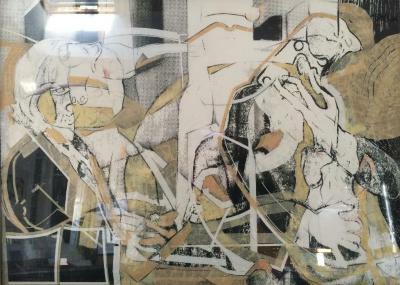 Scott Pfaffman, Not Titlted, Ink on paper, 34 in X 22 in, 1991. 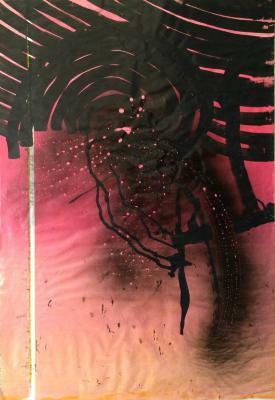 Jens Veneman, Take It or Leave It, Eleven ink tire prints on paper , 27.25 in X 12.25 in, 1997.